Sony's FES Watch U is the successor to the popular (in Japan) Sony FES watch. 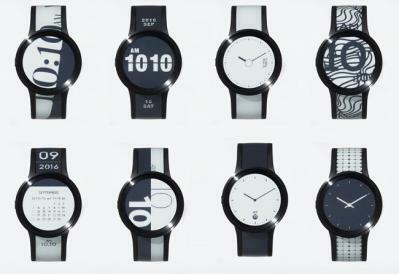 This is an E Ink watch that also has E Ink on the wrist-band, so you can change the design at will. There are 12 basic designs, but this is software based and will increase as Sony makes available an iOS companion application. The FES Watch U is now shipping in Japan for 46,000 Yen (around $415) to 60,000 yen (around $550). E Ink Holdings's CEO Frank Ko says that as of the end of 2015, E already shipped over 60 million smart e-paper labels since starting to offer these commercially. Sales are picking up, and in 2016 alone E Ink expects to sell over 40 million smart labels. The Kobo Aura One is a large e-reader that sports a 7.8" 300 PPI E Ink display and is water resistant (IPX8, which means it can be submerged in 2 meters of water). Other features include a 1Ghz CPU and 512Mb of RAM. The Aura One weighs 230 grams and is only 6.9mm thick. The Aura One is now shipping for $229. E Ink Holdings announced its financial results for Q2 2016. Revenues reached $115 million USD, and the operating profit was $5.5 million, up from a loss of about $15 million in the first quarter of 2016. E Ink Holding's net profit in this quarter was $25 million. Visionect announced a new e-paper based system for museum galleries. 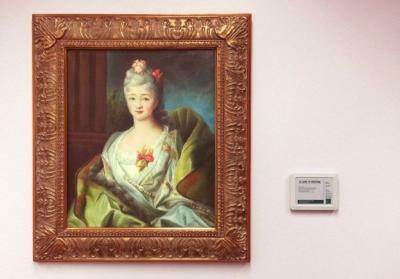 The AMLABEL Digital Gallery Display uses a 6" or 9.7" E Ink display and a Wi-Fi based management system to replace regular printed labels in Museums. The system is battery powered, completely cordless and can be installed without any drilling. According to Visionect, museums usually print hundreds of labels per year, with the cost of each label around $70-$100 (including design and labor). The printed labels are costy and need to replaced manually - and of course are not interactive - you cannot display many languages, or increase the font size. The new solution aims to solve these problems. 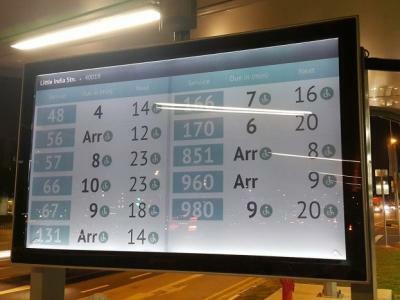 Singapore’s Land Transport Authority installed new public transportation information boards at 11 bus stops across the city. The boards are based on color 31.2" E Ink displays with LED front light. The system design and integration was performed by Visionect. This pilot project chose an ePaper solution because it is extremely energy efficient and runs on solar cells, completely independently from the electrical grid. If the project proves to be successful, this may lead to wider adoption on up to 200 bus stops in the next few years.